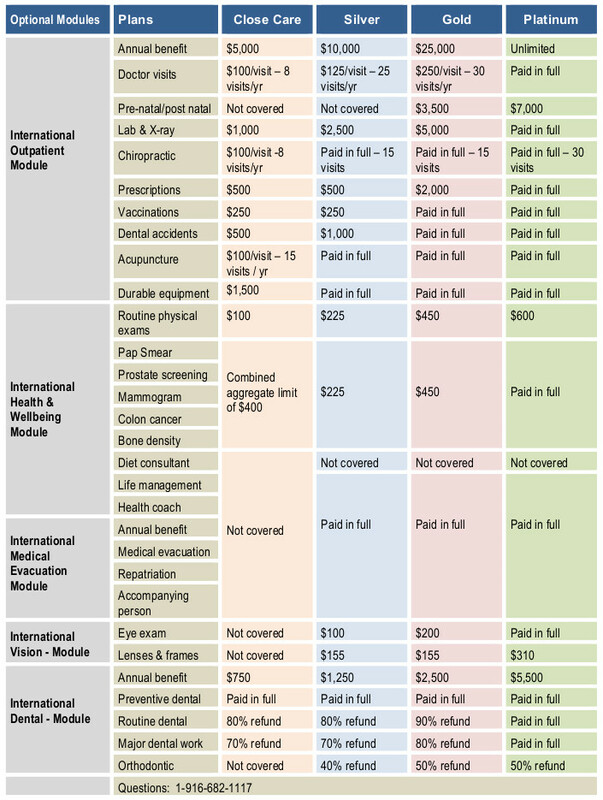 Medicare, Dental and International Medical coverage. Cigna Global International Student plans provide you with the medical coverage you desire when studying and living abroad. Close Care plan, Silver, Gold and Platinum plans, all designed for long term international medical protection needs. If you are a U.S. citizen, you must have a current passport and appropriate visa issued by your host country. You are covered for destinations outside of the United States. Global travelers like you can leave home feeling confident that a trusted source of care is available at a moment’s notice—no matter what country, town or time zone. Cigna Global’s highly qualified doctors speak your language, treat you like a friend, and bill Cigna directly for their services. With instant access in the palm of your hand and twenty-four/seven concierge support, you’ll travel anywhere with the peace of mind that if your health is a concern, getting good care is not. EMERGENCY MEDICAL EVACUATION – If you are experiencing a medical emergency abroad and need air transport, with one call, your International Health Insurance company will coordinate and arrange all of your transportation needs. With only domestic health insurance you will be responsible for arranging everything from a emergency ground transportation, discharge from a local hospital so air evacuation services can transfer you to adequate facilities. Transportation may require medical personnel to accompany you to a different hospital facility, or back to your home country. With Cigna Global, members receive concierge-level service, meaning it’s prompt and easy to get care when they need it, wherever they are. Global services are available 24/7/365 to assist members with anything from arranging direct pay, coordinating evacuations or getting the proper follow up care, and even questions regarding your coverage. Cigna Global is readily available to help assist your students with any question, problem or concern whether it’s related to the expected or unexpected. Quote and enroll online. Or, call today for a custom quote. The enrollment process is quick and simple. Cigna policies are typically issued within a day or two, and coverage can start as soon as a few day. Be sure to compare the Cigna Global plan (click here), call with question, or enroll in your own Cigna policy today. Stanford University International Students can waive Cardinal Care and enroll in a comprehensive International Student Health insurance policy from GeoBlue. The GeoBlue International Student policy has a lower annual premium ($2,890), a lower out of pocket maximum ($1,000) and a $0 Zero deductible. And you can see any doctor, specialist or hospital. Cardinal Care annual premium is: $5,208, has a $500 plan deductible (Tier 2), out of pocket maximum of $4,000, and you must first see the school clinic before being referred outside to a specialist. Do you need a referral to see a specialist: GeoBlue (no), Stanford (yes). Do you have coverage with “out of network doctors: GeoBlue (yes), Stanford (no). Also, GeoBlue provides the same great coverage when you are traveling, either around California, in other states or worldwide. The Stanford Health Net plan has limitations when traveling outside California and outside the U.S. GeoBlue goes with you regardless of where you are traveling worldwide. Locate doctors, clinics and hospitals, view doctor profiles, view a claim refund, email a doctor your ID card and proof of insurance. look up translations for medical terms, order prescriptions and much more all at your fingertips and your smart phone or tablet. Worldwide medical coverage specifically designed for international students and faculty. 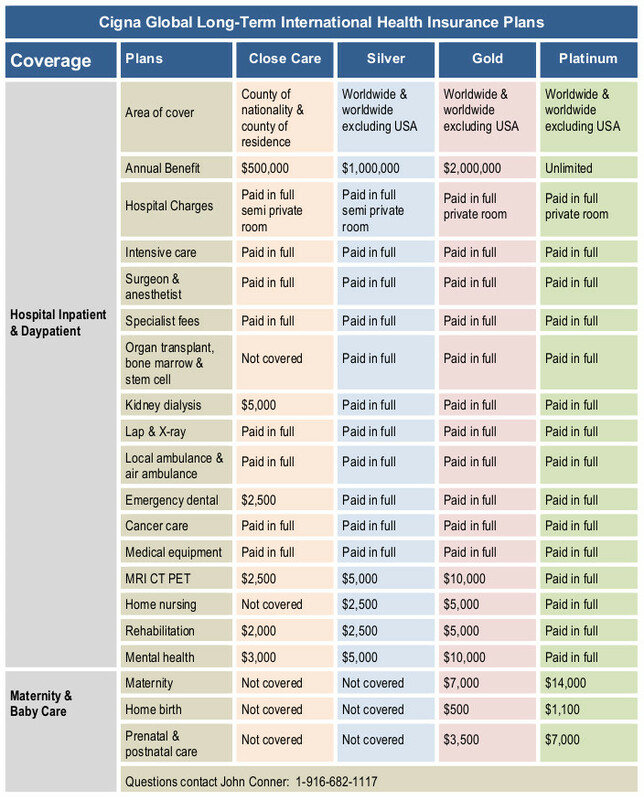 participating providers outside the U.S. bill GeoBlue directly for covered medical treatment. Health insurance for International Students enrolled in California Junior Colleges is typically a mandatory policy to stay enrolled. And International Health Insurance is a policy many foreign students use to help with any illness or injury. International Student health insurance is a full major medical coverage plan providing comprehensive benefits for foreign born students studying in the U.S.
GeoBlue for example, provides greater coverage and benefits than the U.S. Affordable Care Act plans. With GeoBlue you have access to any Blue Cross / Blue Shield doctor, specialist and hospital in the U.S., that is over 92% of all providers nationwide. Unlimited annual and lifetime benefits allows the student excellent coverage during the time in the U.S., also you do not need to first go to the school clinic, you can see doctors and specialists. Most college plans will require you to first visit the school clinic before seeking care. More coverage, greater access to doctor and hospitals, and lower premiums than the typical U.S. based college plans. International Health insurance plans can be used for all grade and school levels. Elementary School, Jr High, High School, Jr. College, State Colleges and Universities, public and private. Foreign born inbound students along with U.S. citizens studying abroad. Great coverage coupled with better access to the quality medical professionals you and your child deserve. If the illness or injury are severe, the GeoBlue International Student plan may fly you to a different location that can properly care for your condition. Even fly you back to your home country. U.S. based health insurance plans do not provide emergency evacuation or repatriation benefits. Hospital, Dr. Visits, Rx, X-Ray, lab, Surgery, Radiology, Emergency, Physical Therapy, Maternity, Mental health, 24/7 assistance call center, Preventive care, Dental, and much much more. Worldwide Health Insurance for anyone studying outside of their home country. Inbound and outbound coverage, J-1 and F-1 Visa’s. Crisis Management – Who can assist, and who do you contact if you have a serious injury or illness. We aim to pay doctors direct or reimburse your claim within 5 working days. Also, you are able to see any licensed medical professional outside the U.S. The GeoBlue Mobile App ..
An Innovative Online and Mobile Tool … Most convenient way to access the best local doctors, hospitals and resources: Search providers and request an appointment. Find medication availability, translate medical terms and phrases and use the audio feature to play translation as necessary. View your ID card and email a copy directly to doctors to confirm eligibility. Enjoy the feeling of knowing you are protected by a quality company, with your best interest in mind. Call today for more details or questions. New York University (NYU) International Students inbound and outbound are now enrolling in the GeoBlue Navigator International Health insurance plan, designed for students, faculty and family members who are looking for an elite health insurance plan while studying and working in the States or abroad. J-1 and F-1 Student Visa eligible policies. Unlimited annual & lifetime benefits. Access to the vast Blue Cross Blue Shield doctor network across the U.S.
Comprehensive benefits: Hospital, Dr Visits, Rx, Lab-X Ray, Maternity, physical therapy, Emergency Evacuation & Repatriation and much more. Many International student plans are the typical restrictions. Either a limited network of doctors and hospitals to choose from, or limited annual or lifetime benefits, high out of pocket maximums or no coverage for emergency evacuation and repatriation. Make sure your student policy includes strong benefits for the above mentioned coverage’s. This is very important coverage and should be included in all international medical plans! Domestic health insurance does not provide coverage for emergency air evacuations, or repatriation. If you are a non-U.S. citizen, you must have a valid J-1, H-3, F-1, M-1, or Q-1 Visa or other similar appropriate visa, and are covered if your destination is the United States. Please contract me anytime for more details. All Stanford international students are required to have adequate health insurance for the duration of their academic program at Sanford University and every day you are in the United States as an international student. GeoBlue is an approved health insurance plan of Stanford University for it’s inbound and outbound International Students. Students must be enrolled in a health insurance plan for their entire stay in the U.S., including school break periods. We encourage all students to carry their health insurance card and be aware of your options if you get sick or in case of emergency. The GeoBlue plan exceeds the US Department of State J-1 and F-1 Status Visa requirements, and exceeds the minimum standards established by the University. If you are an international student, you must have coverage that meets or exceeds minimum standards established by the university in order to request an exemption from Cardinal Care coverage. These requirements for coverage are in place to ensure that any non-U.S. based plan you have will serve your health care needs adequately while you are a student at Stanford. An annual deductible less than $1,000 USD. Lifetime aggregate maximum benefit of at least $2,000,000 USD or a maximum per condition/per lifetime benefit of $500,000 USD. Coverage for inpatient and outpatient medical care in the San Francisco Bay Area and the U.S.
Coverage for inpatient and outpatient mental health care in the San Francisco Bay Area and the U.S.
Coverage for non-emergency as well as emergency care. Coverage for pre-existing conditions or you have met applicable waiting periods. GeoBlue is a leader in helping world travelers gain access to quality healthcare services all around the globe. GeoBlue combines ongoing research, a contracted global community of physicians and hospitals, advanced Internet applications, and wide experience in international health insurance to ensure customers’ health, safety and peace of mind. Founded in 1997, GeoBlue has grown to become a leading provider of international health insurance programs and services. GeoBlue offers a full range of individual and group specialty health insurance programs, all of which include GeoBlue’s Global Health and Safety Services available online, through their 24/7 medical assistance call center and via mobile device. Presently, GeoBlue annually provides health insurance products to over 500,000 individuals who travel, study or live outside of their home country. Global services are available 24/7/365 to assist members with anything from arranging direct pay, coordinating evacuations or getting the proper follow up care. For administrators, GeoBlue is readily available to help you assist your students with any question, problem or concern whether it’s related to the expected or unexpected. With a few simple taps, get detailed profiles of carefully selected primary care physicians and specialists, as well as a broad range of hospitals, pharmacies, even dentists-where you are, when you need it. Review qualifications, make an appointment, and get directions, right from the App or a mobile device. Plus, proof of coverage is always at your fingertips, ready to show and share with providers. Mobile Assistance is backed 24/7 by our toll free assistance line. Planning a trip to Spain in 2019? Don’t forget your GeoBlue International Travel Medical insurance. Spain has become one of the hot spot vacation and or work destinations with terrific beaches, nightlife, food and adventure. Nikki Beach, Sky Lounge or maybe Experimental Beach? Want to get into a bit more nature? Don’t forget about Sea Salines National Park or The Nature Reserve of Es Vedra. Looking for the VIP lifestyle, you’ll want to stay in Ushuaia Towers or the Villas, both offering ocean views and the pampering you deserve. A work assignment, extended vacation or studying abroad. A couple of weeks, a month or several years, hopping from one great location to the next, be sure to take along a GeoBlue Travel Medical plan to pay for the unexpected. GeoBlue and Cigna Global international medical both offer long-term International Medical Insurance plans which provide not only very comprehensive coverage while abroad but also access to an elite network of doctors from almost every specialty ready to see you in over 210 countries. Only a small fraction of doctors around the world meet our standards – participation is by invitation only. We seek out professionals certified by the American or Royal Board of Medical Specialties who speak English, and we factor in recommendations by over 158 Physician Advisors from all over the world. Ideal for International employees, contractors, global families, leisure, education, missionary or business travel. Trips of 6 months to permanent for all ages. Does not require an underlying health plan. Hospital, outpatient, Rx, Mental health, medical evacuation, maternity and much more. Enjoy your trip whether it is for pleasure, work, study, vacation or retirement. But be sure to include an International Travel Medical plan for yourself and family. Domestic health insurance provides very limited and typically NO coverage at all when traveling outside the U.S. And Medicare offers NO coverage outside the U.S. Please contact me anytime with questions. There are many plan options for different situations.